GoPro issued a recall for a batch of its new Karma drones -- due to the gadget's tendency to lose power while in the air. It's the latest bad news for the innovative camera company, which recently saw its stock drop 20% because of terrible sales figures. The Karma, which costs $800, was the very first drone made by GoPro (GPRO). It's a black and white quadcopter that folds and can fit into a backpack. It's meant to capture stunning aerial footage from a mounted GoPro camera, which is sold separately. GoPro's announcement, made Tuesday evening, includes 2,500 Karma models that were sold since Oct. 23. "In a very small number of cases, Karma units lost power during operation. No related injuries or property damage have been reported," the company said in a statement. 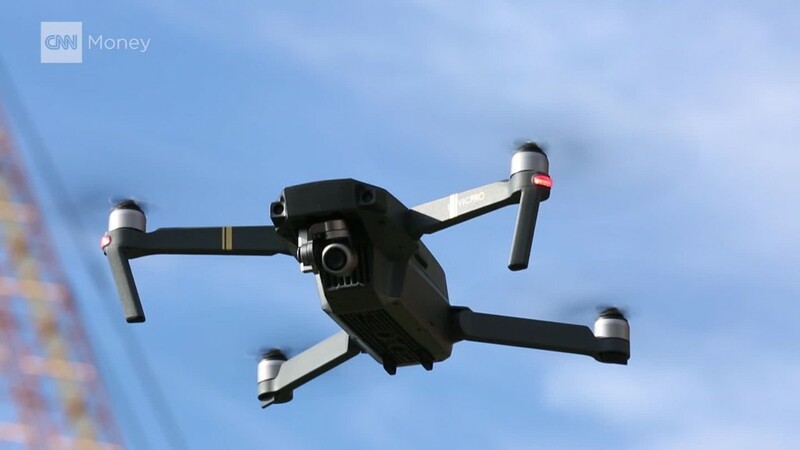 GoPro said it's coordinating with the U.S. Consumer Product Safety Commission and Federal Aviation Administration, which regulates drone usage in the United States. "Safety is our top priority," GoPro CEO Nicholas Woodman said in the statement. GoPro isn't offering replacement units right now, but the company says it's giving customers a full refund. It plans to "resume shipment" of the drones "as soon as the issue is resolved." The interruption in sales could further hurt the device maker, which continues to struggle with weak sales. GoPro is being forced to compete in a suddenly crowded market for "action cameras," devices meant to take a beating on intense activities like hiking, skydiving and surfing. They're now also made by the likes of Sony, Polaroid and Xiaomi.